Content is at the heart of how successfully you engage customers. Opportunity lies in delivering the exact information that customers want to consume at a specific point in time. 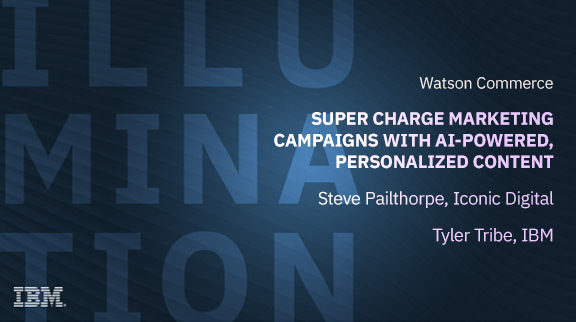 In this webinar, we will discuss how finding content with the help of AI can super charge personalized marketing campaigns to deliver compelling experiences across mulitple digital touchpoints (websites, landing pages, mobile apps, and email campaigns). You will also see a demo of how marketers are using these technologies to positively impact their businesses right now.